SURA SMALL is SURA's little sister, a toy made from natural cork. 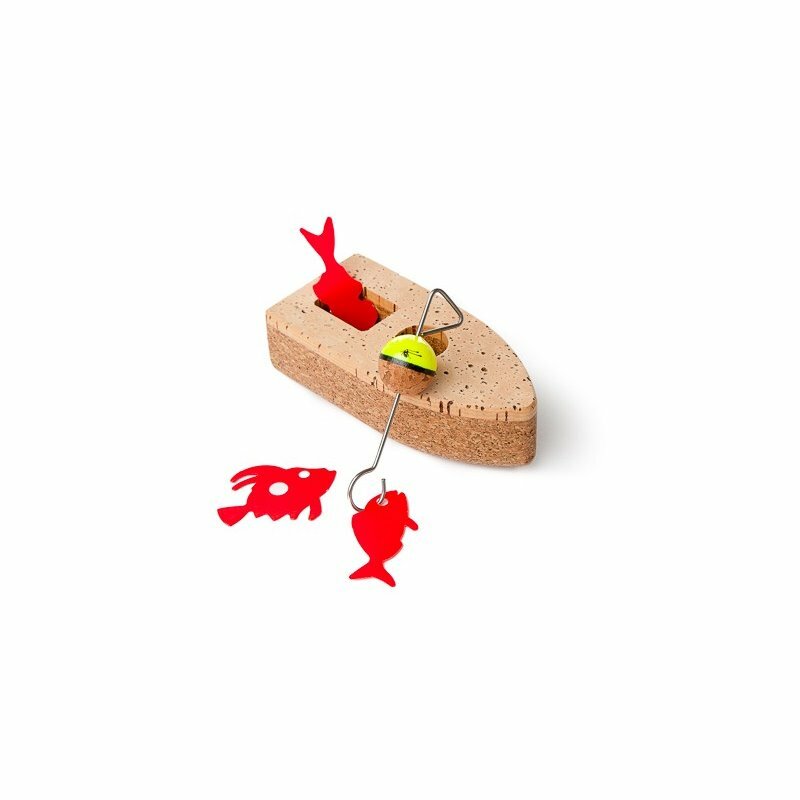 The set contains a boat, a buoy and several fishes to play fishing. It is a game of skills, both participative and educational. Sura is a toy for children over 3 years old. 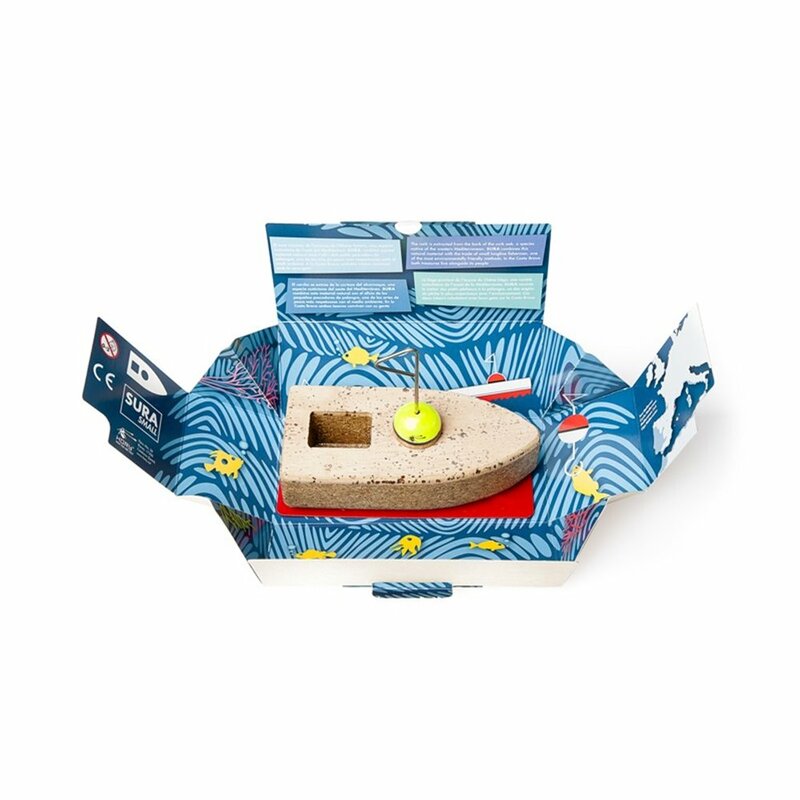 The set contains a boat, a buoy and several fishes to play fishing while they take a bath. Playing with Sura requires various skills. 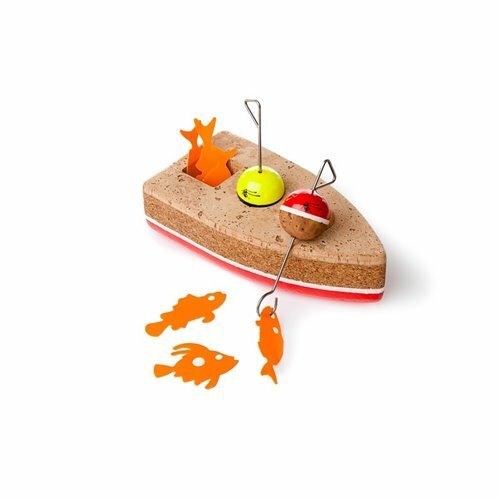 Attaching the fishes to the buoy is a real challenge. The game is participatory; boys and girls can play forming teams. 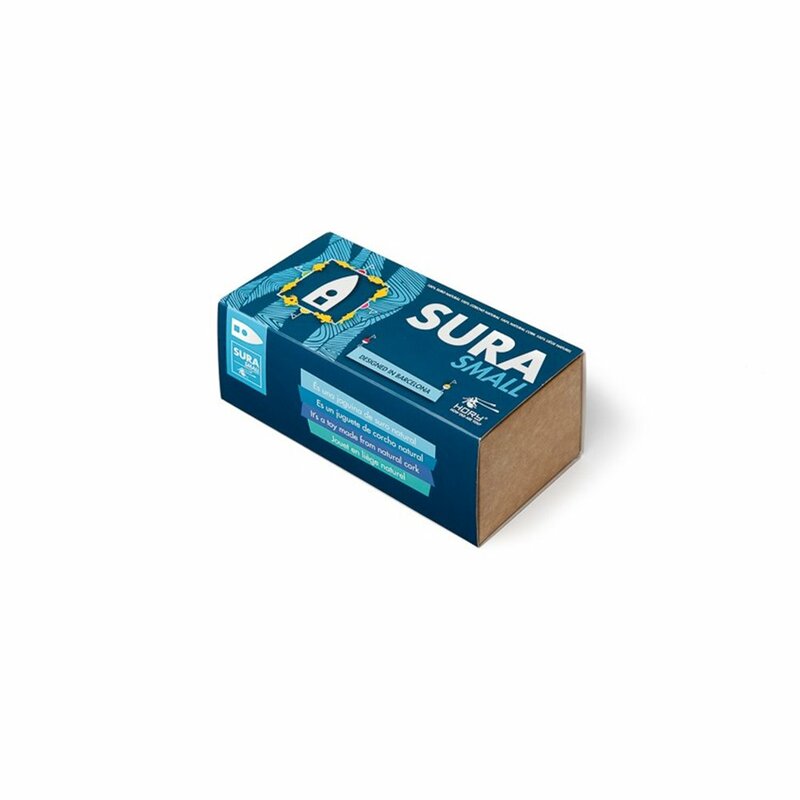 Sura is a 100% sustainable toy and includes a template so parents and kids can create more fishes reusing gel and shampoo containers. Sura pays homage to natural cork, one of the finest and most delicate Mediterranean materials. It has been used for centuries for its unique properties of buoyancy as well as thermic and acoustic isolation, and regenerates itself naturally. Sura has been designed in Barcelona and combines the numerical control milling precision with a sensual touch brought by craftsmanship. 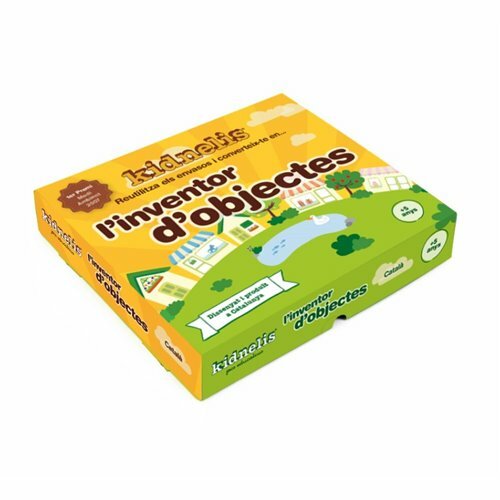 It is 100% made in Catalonia in collaboration with the Centre Especial de Treball El Vilar de Blanes. Complies with EU EN71 (Safety of toys).